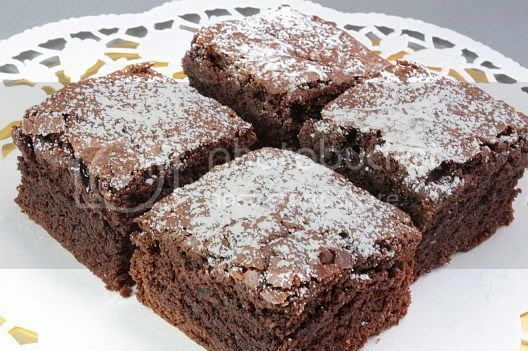 When I received a box of chocolate brownies from my colleague after Christmas, it made me realized that I hadn't baked brownies for a long, long time. I personally like my brownies to be chewy and plain. Although sometimes I may get urges for nuts to be added to my brownies. The other thing I like about baking brownies is that there is really little effort in putting this together as there is no creaming method involved. Everything gets dumped into one bowl and mixed together. You can even freeze some of the brownies once baked for another day ... one of those evenings when cravings for dessert suddenly set in. Believe me I do have these on some rare occassions! 1) Preheat oven to 350º F. Grease 13 x 9-inch baking pan. 2) Combine granulated sugar, butter and water in large bowl. Stir in eggs and vanilla extract. Combine flour, cocoa, baking powder and salt in medium bowl; stir into sugar mixture. Stir in nuts. Spread into prepared baking pan. 3) Bake for 18 to 25 minutes or until wooden pick inserted in center comes out slightly sticky. Cool completely in pan on wire rack. Sprinkle with powdered sugar. Cut into bars. Chewy and plain for me too! They look divine. Simple and yet classic! Yummy! I, too, love the chewy type brownie! Goodness, I've been baking for almost three years now and yet, I've not baked a single brownie! (Well, if zucchini brownies are not counted.) LOL! Thanks for reminding me! Gotta do it sometime soon! wow.. 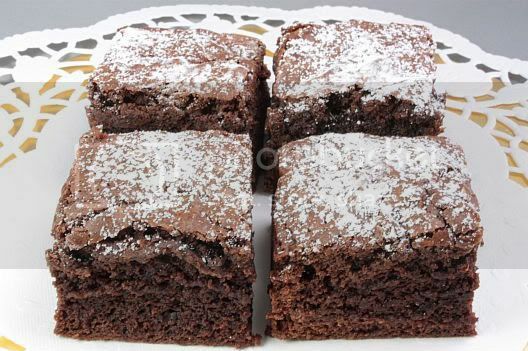 I love brownies, they look really good! Great. I will do the same recipe.I think this blog can allowing other ideas. This Chewy Chocolate seems very easy to make. I've been making recipes but I'm so bad in the kitchen, so I need more fluency and practice about it.